We can fabricate any size in various gsm. We manufacture and supply from 10ton capacity to 115 ton Capacity, With Diameters from 3m all the way to 11m. 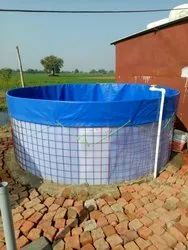 We are dealing in wide range of Fish Pond. With the assistance of our skilled professionals, we offer a quality assured assortment of Glass Fish Pond . The Glass Fish Pond we offer is known for its durability. It comes in different size and shape. There are two sizes available (15x15 ft. diameter, depth 3ft.) 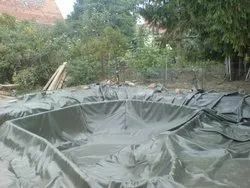 and (18x18 ft. diameter depth 4ft.) in round shape. We are giving you 5 years warranty. They are very affordable and also the sizes can be customised as per customers need. You can choose the pond according to your budget and available space you have.